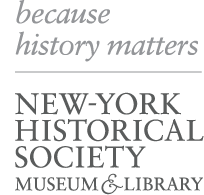 The New-York Historical Society offers a variety of prestigious fellowships every academic year. Designed to encourage and promote the use of its extraordinary collections of primary and secondary sources relating to the history of New York and the United States, the fellowships are open to scholars at various times during their academic careers. The Institute for Constitutional History (ICH) is the nation’s premier organization dedicated to educating future generations of American lawyers, scholars, and educators on the history of the U.S. Constitution through scholarly professional development opportunities.